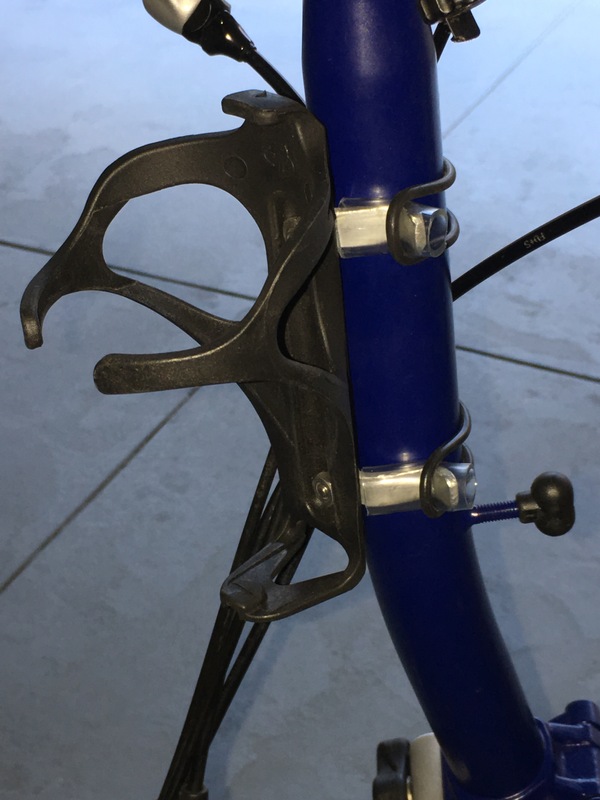 My bidon cage system had a minor improvement recently so I thought I should post the latest version info. 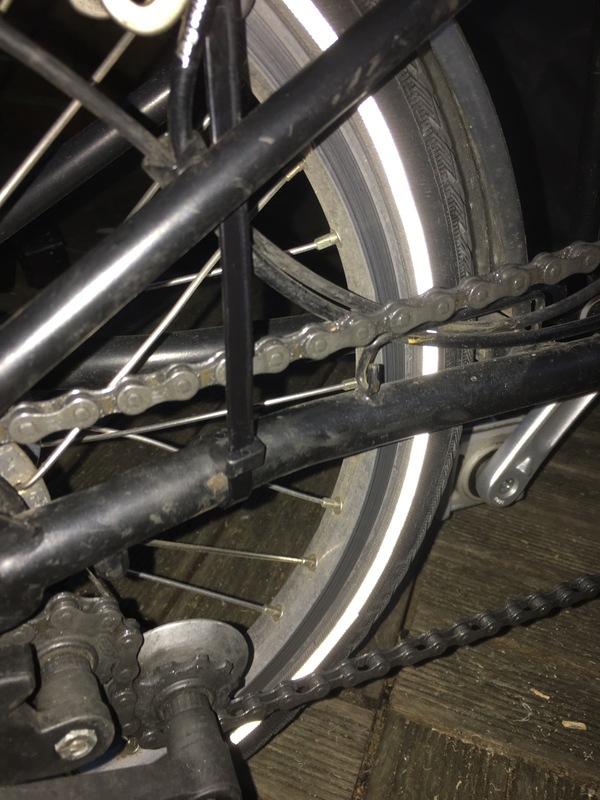 The change was to using clear tubing as insulating protection where the cage contacts the stem (I’d previously used various rubber pads but their attachment wasn’t ideal – no issues in practice but “could do with fixing”). 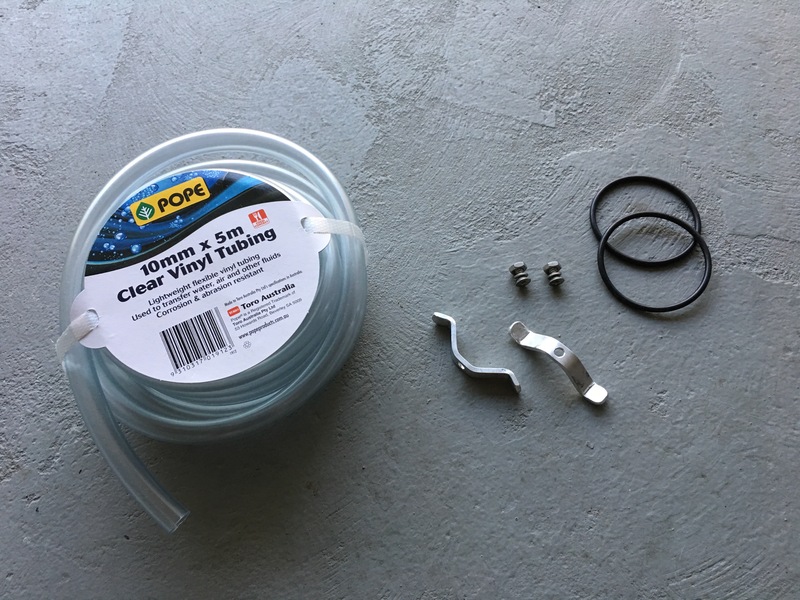 The other components are two aluminum strips (8mm by 3mm), some fixings & two 58mm ID O-rings. Probably my longest running & most essential “hack”, the system performs perfectly. A bidon is held securely & the system doesn’t move around, although it’s also able to be swung left or right if necessary (e.g. 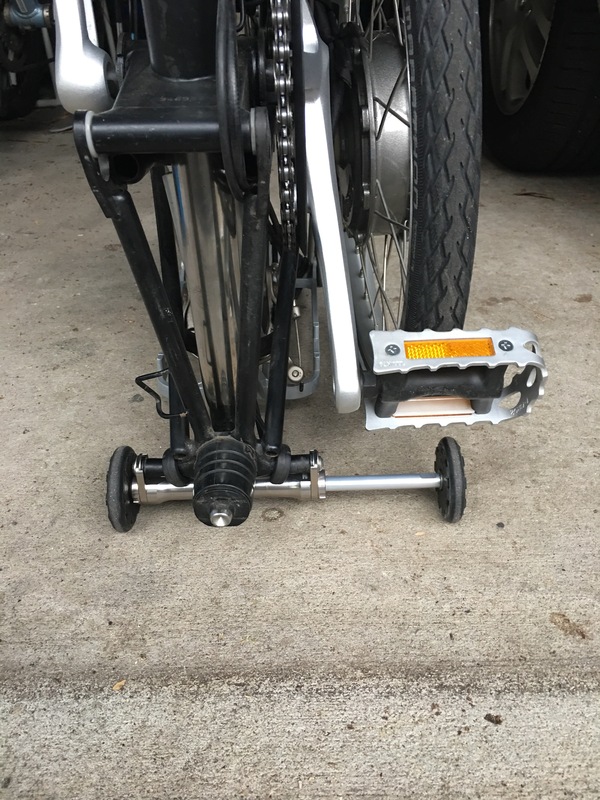 folding the bike with a luggage bag in place or folding the bike for packing). The system is able to be removed readily but I’ve actually never needed to take it off. Of course, there’s bound to be another version at some stage – & I’m thinking 3D-printing could be utilised? Recipe: take one Monkii system, remove the strap & cut off the wings & tail of the cage. Drill & countersink the cage spine & attach to a standard cage with some screws & nuts. 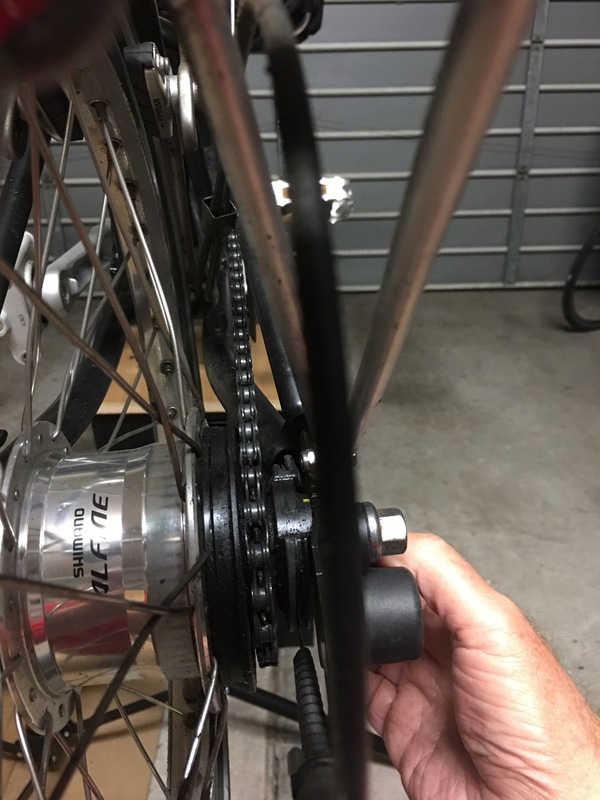 When the Monkii stem block is being mounted, hook an O-ring under the block. 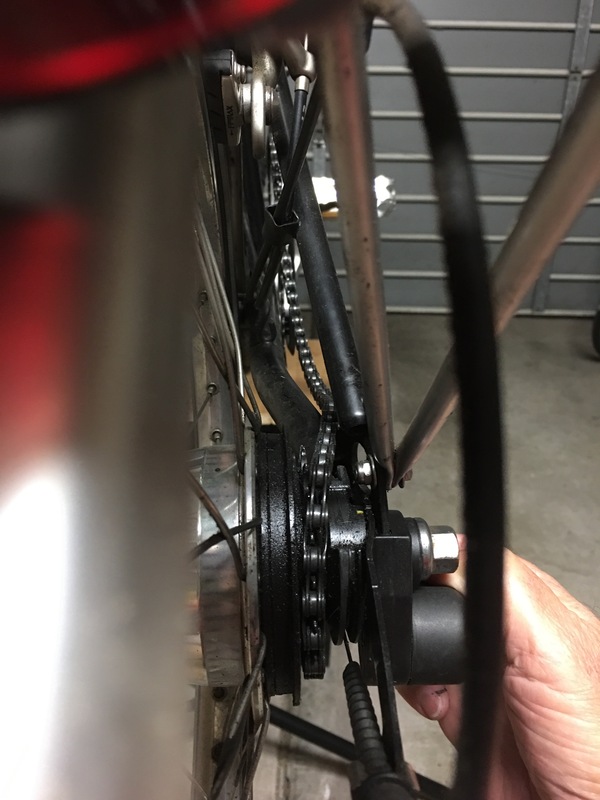 When installing the new “combo cage” to the bike, hook the top of the cage under the O-ring & stretch it up so that the Monkii portion of the cage can be connected to the Monkii stem block. 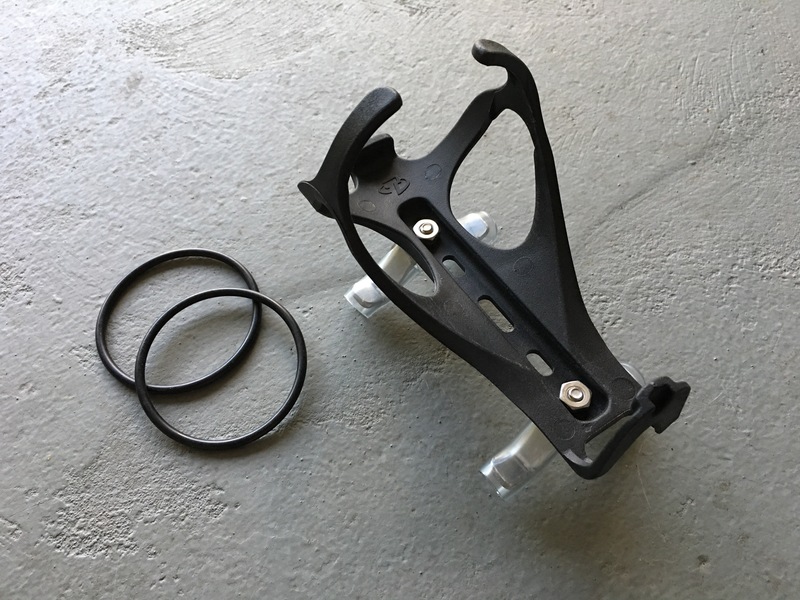 So, I now have a Monkii system that lets me easily remove/attach the bottle when drinking & won’t become disconnected over bumps – & lets me readily remove the cage when operating in “shopping trolley mode”! Update: Since using Ralph-e & trying to avoid removing the luggage bag (& disconnecting the battery), I now realise that I can leave my Bidon in the cage system & the bag just pushes the Bidon to the side (as the bag pivots around while folding the front wheel). 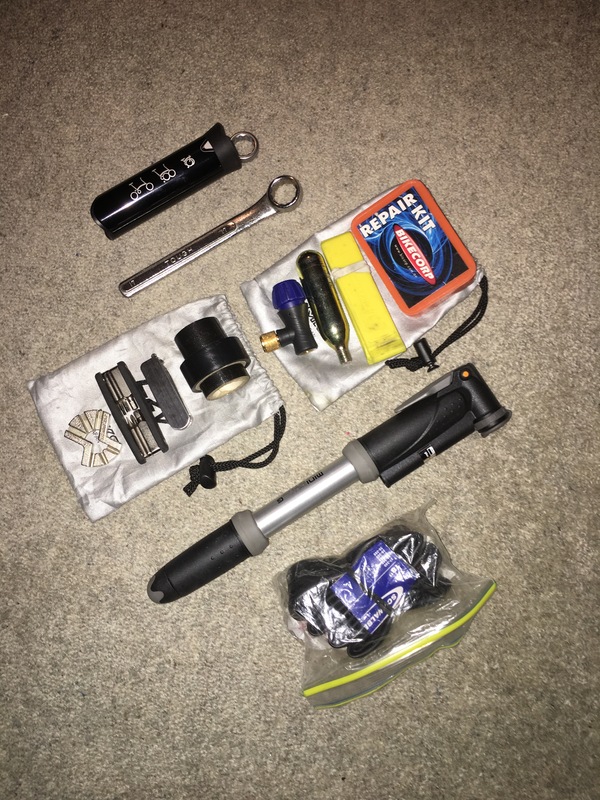 Along with my Brompton toolkit (stored on-board), here’s Ralph-e’s luggage bag set of tools. 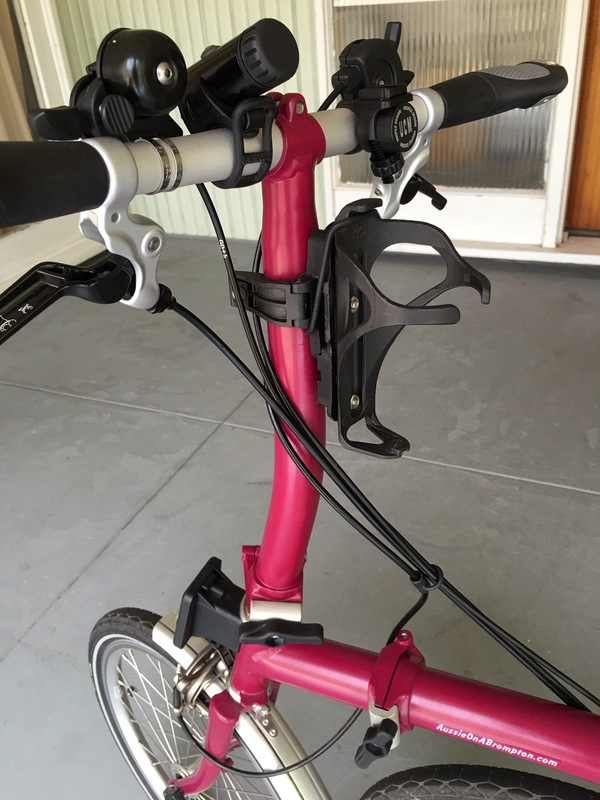 There’s a few new items that most Brompton owners wouldn’t include but you’ll probably pick them from the descriptions below. Another aspect of the pre-conversion conundrum was Pedelec vs Throttle. 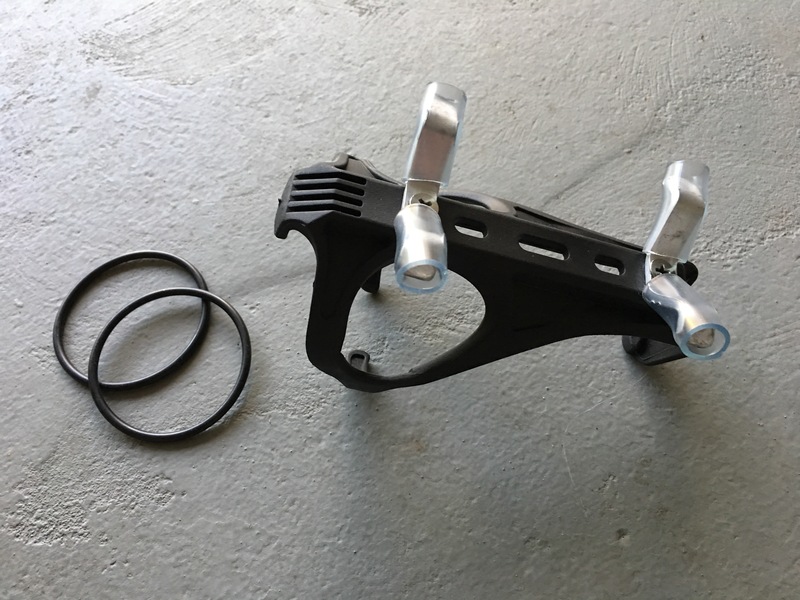 I wanted to be able to ride my bike as naturally as possible & preferred to avoid using a throttle (assuming it to lessen the natural riding experience, although the sensation of opening a throttle & enjoying a surge of power is very appealing?). 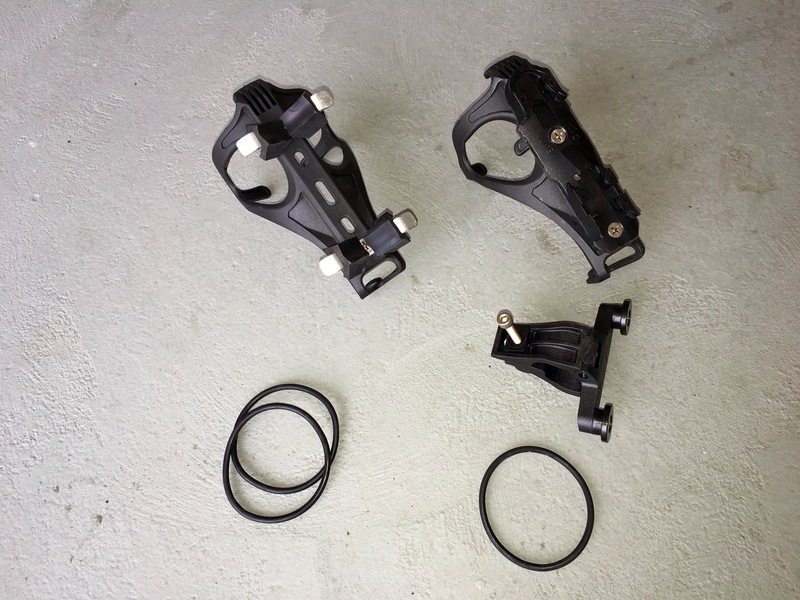 As such, I liked the theory of a torque sensing pedal assist, (as compared to the straight-out cadence measuring system) & thought I could get by without combining it with a throttle. 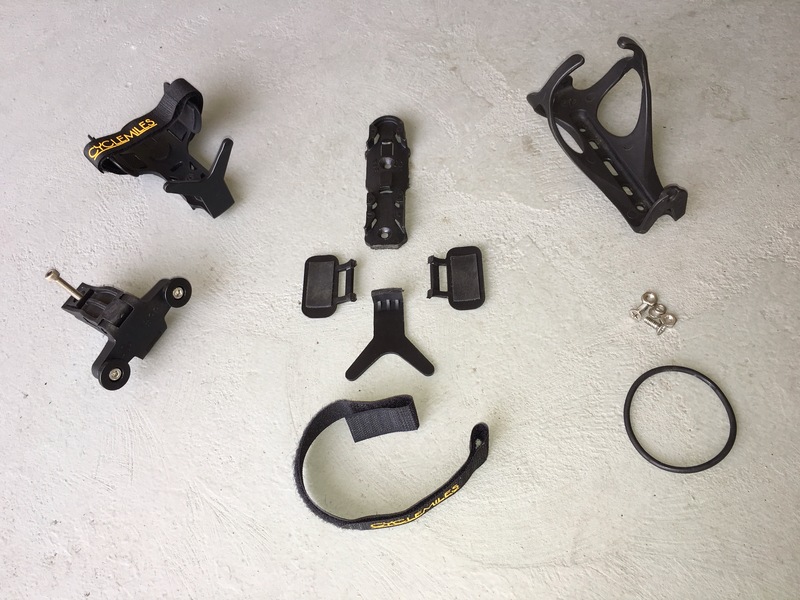 During my first days with Ralph-e & experiencing big hills, I temporarily fitted the throttle supplied with the conversion kit, to see if it was going to help. 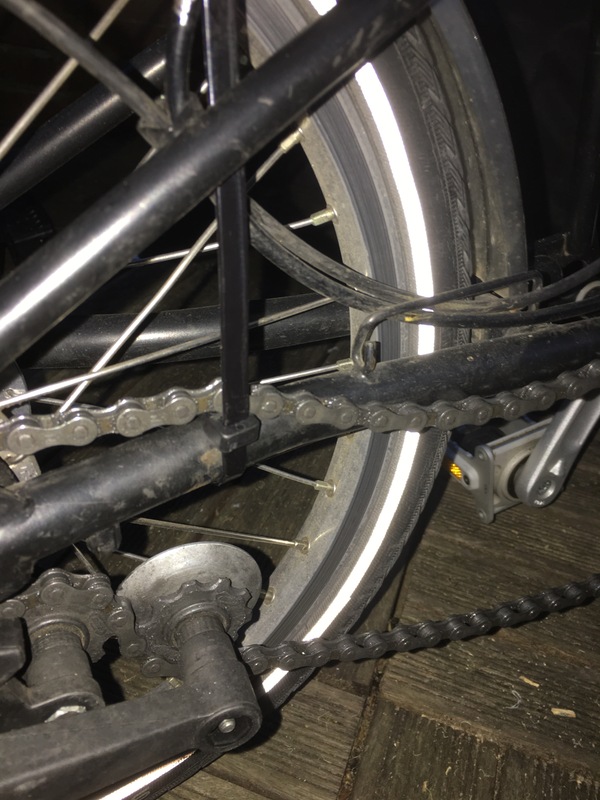 I found that it didn’t provide any more power from the motor over what pedaling was achieving (& that pedaling was essential, rather than expect to ride on throttle alone!). 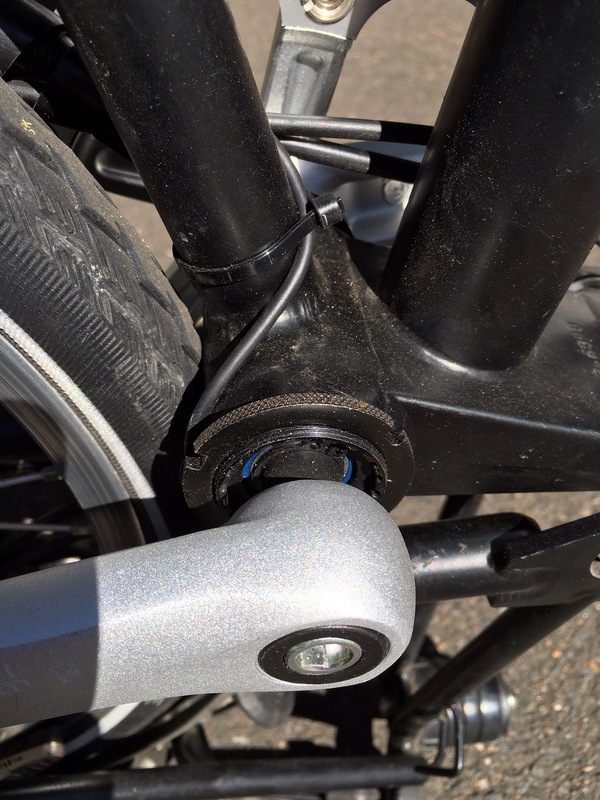 The throttle is now consigned to the luggage bag, just in case the TDCM bottom bracket should fail far from home? Interestingly, my brief test rides with various throttle systems has shown quite some differences. I don’t just mean thumb-control vs twist-grip; factors such as smoothness, sensitivity & effort were all on display. Also, the ergonomics come into play when some bike setups require a throttle on the left. 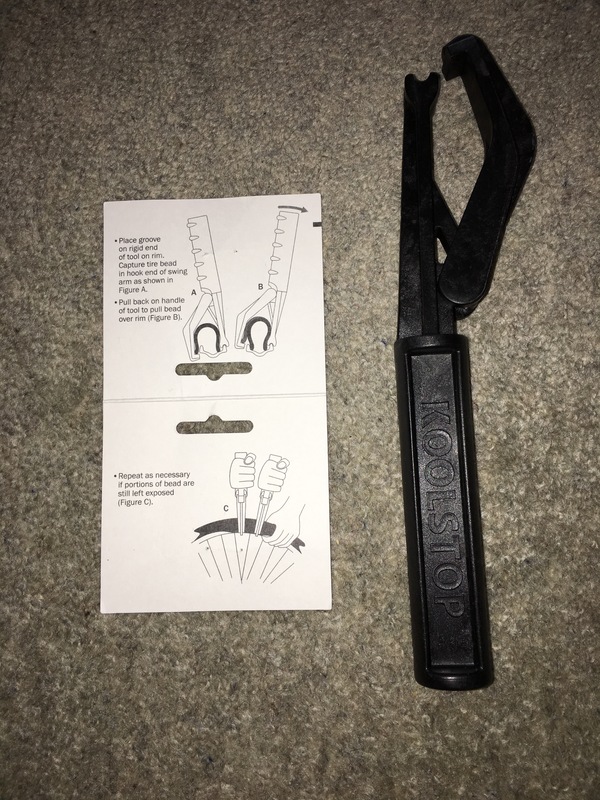 One aspect for me about using a throttle, is that I would be using it everywhere; I need the motor on flats as well as hills (unlike some riders who would just use a throttle to help the effort on hills). I’m kind of glad I’m not having to choose or depend on a throttle? My new ebike world is progressing nicely. 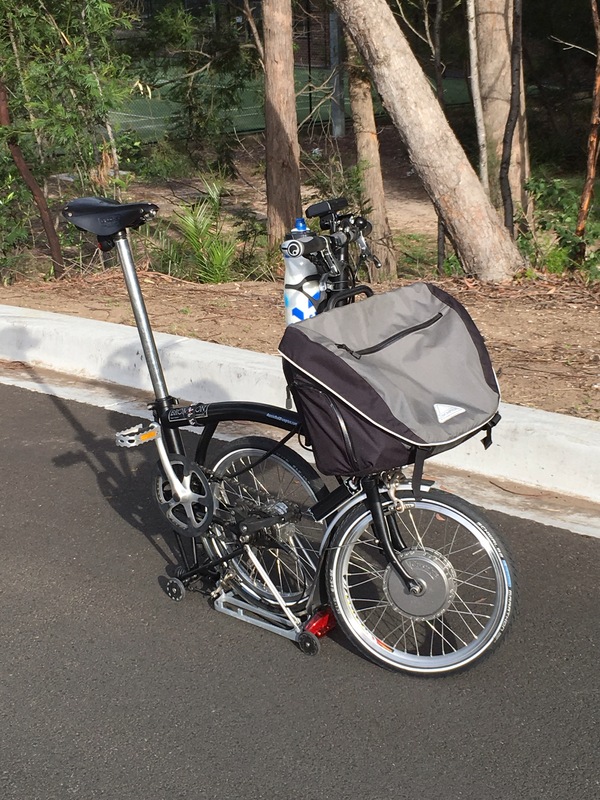 So far, rides on Ralph-e (a recent electric conversion of my Alfine 11-speed Brompton) have totaled about 200km along mostly coastal bike paths. Mrs Aussie has laboured somewhat while I basically cruised (the reverse of our previous ride efforts for some years?). I coped with savage headwinds & stiff hills without much concern, although a certain amount of guilt nags away (for a while?). The whole experience has been an illuminating & exciting learning curve, from the ride characteristics (sounds, power-off lag (especially on slow-speed maneuvers) & smooth power) to the technical data available from the computer system (up to 11 displays for ride, motor power, human power & energy data). Choosing to “go electric” was a concern for an appropriate ride experience (brilliantly answered? 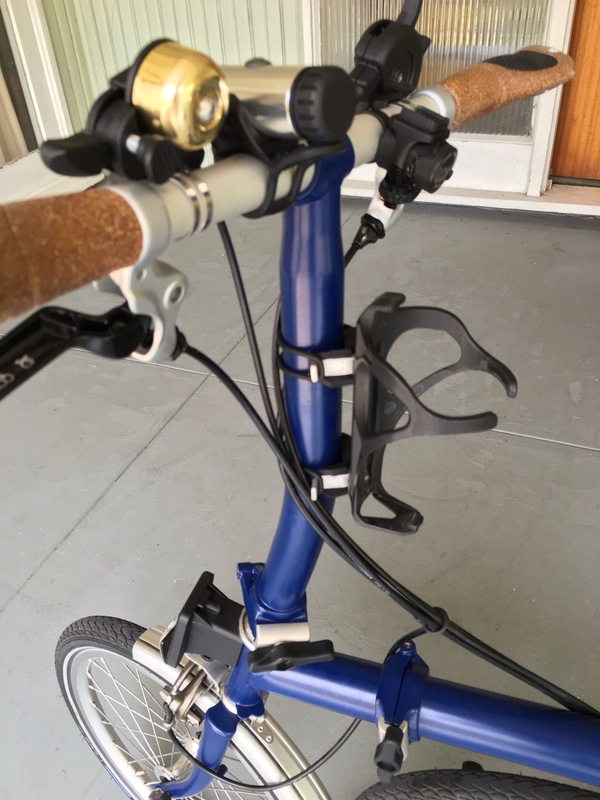 ), a quality product (very satisfied, even considering the likelihood of an eventual Brompton ebike release?) 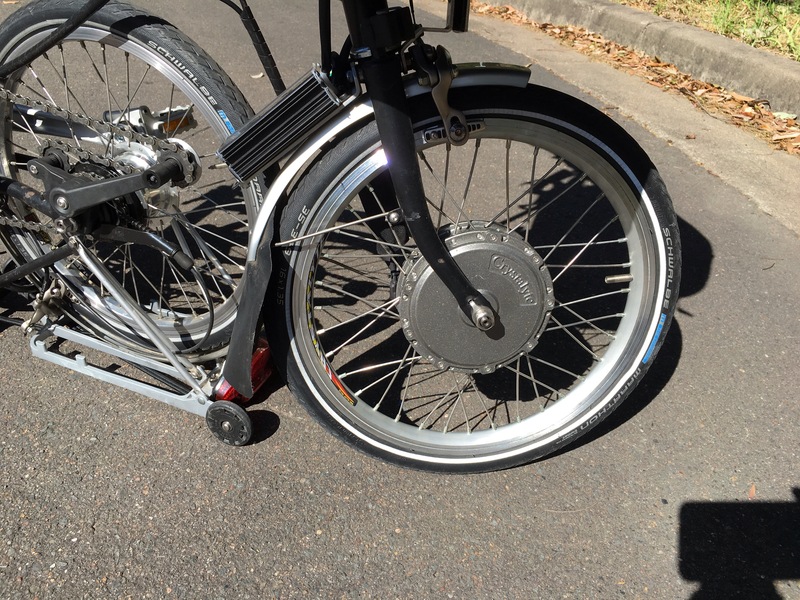 & a deciphering of all manner of ebike jargon & implications (eg cost, weight, power & range?). 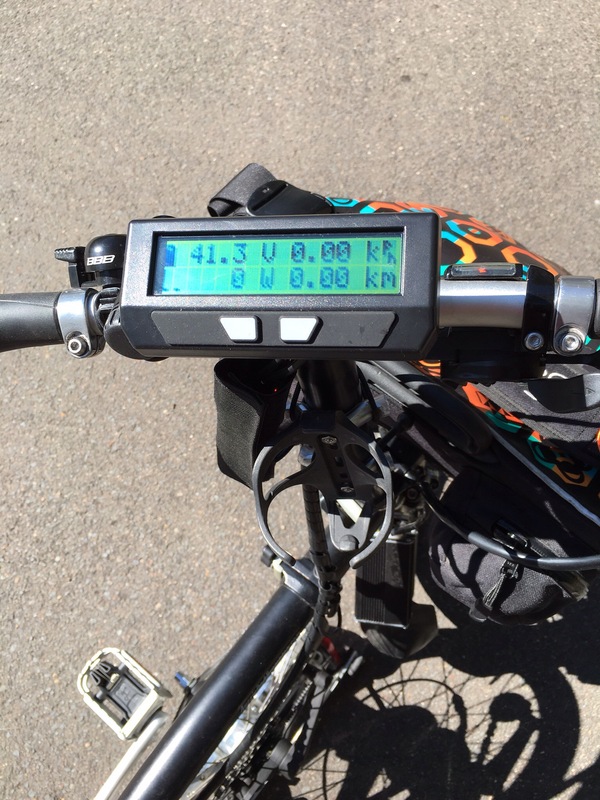 The info & stats from the computer display has provided insights & understanding for my ebike adventure. Rather than the experience of observing a series of lights representing battery level or power levels, while riding I can see the exact consumption from the battery (amphours), my output level (human watts), economy (watthours consumed from the battery per km ridden), the usual bike computer data – & other stuff I’m still getting my head around. However, determining the all-important battery range is still a work-in-progress while my economy level has been improving with re-configuring & fine-tuning for power output. So far, a range exceeding 100kms (depending on the demands of the ride?) is on the cards – although probably not on my agenda? Brompton weight was something I could estimate pretty accurately (about 4kg?) before the conversion although battery weight was an unknown while I was unsure what battery size to use. The 540Wh unit I decided on is great for range but adds another 4kg in weight. 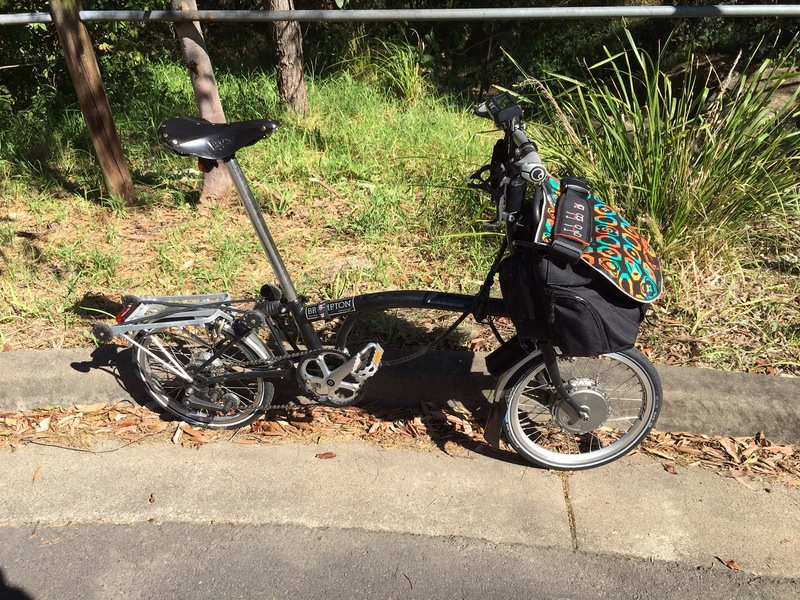 As usual, front luggage weight on a Brompton has virtually no affect on ride handling. I’m becoming quite proficient at folding Ralph-e with the front bag in place & the folded handling has been helped with the inclusion of a rear rack. 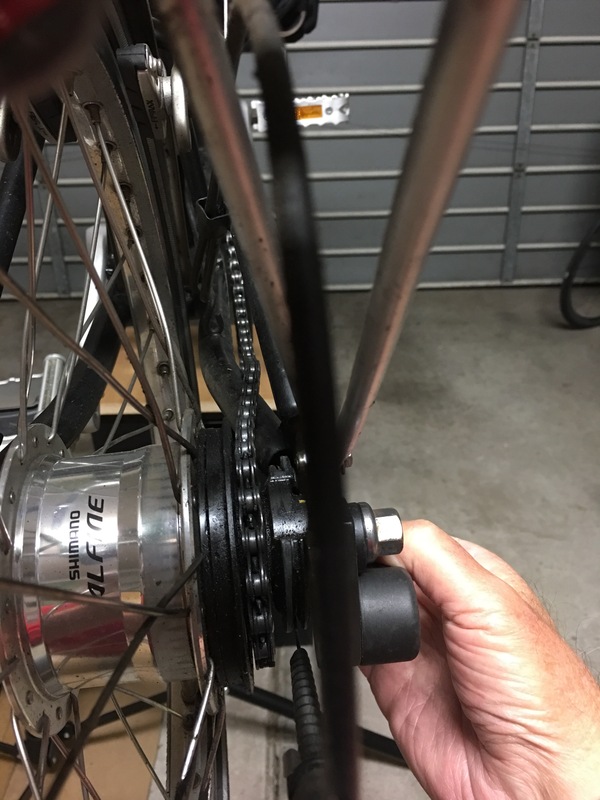 The final word on my Brompton ebike experience to date: priceless!